It’s no secret there is a lot of serious, stressful and ridiculous information being thrown at us from every media outlet on the planet over the past several weeks. Drama stemming from the upcoming election to the breakup of Brad and Angelina (not that I really give a crap on that one…sorrynotsorry). Too much. Just too much…. So I have decided to scour the web and find inspirational people and share their stories. These are all amazing people doing things for others. Not because they have to, but because as human beings it feels good. Please read. It’s worth it, I promise. Lolly Galvin has a background in retail management, where she worked 70+ hours every week in Philadelphia. One evening she discovered Periscope, a social media platform that allows users to broadcast live video online, and she quickly had hundreds of people tuning in. She decided to use the platform for good: do random acts of kindness and share the experiences. She set up a GoFundme campaign whereby she would dedicate $50 for each “act,” and set the funds-raised goal to be a modest $500. She reached it in three days. 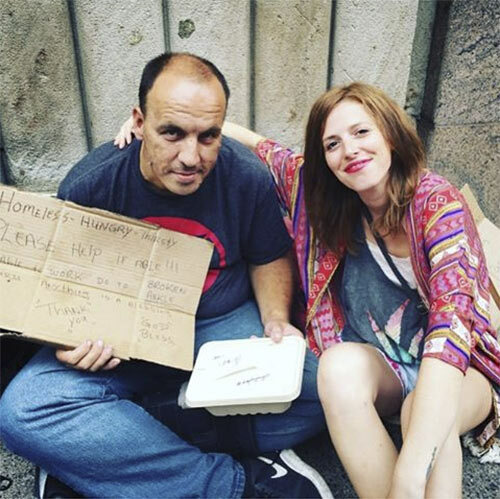 Her first act of kindness was locating a stranger, a homeless man named Tom, in Center City Philadelphia. She took him to lunch, had an engaging conversation, then handed him the balance of the $50 “act of kindness” fund and shared her experience on social media. Galvin did other acts of kindness, such as setting up a party at a nursing home. But her followers kept inquiring about Tom. She never saw him again, but he had clearly made an impact. But then so had she. Local media outlets covered what she was doing and other people shared their own experiences. Galvin decided to focus on helping the homeless in whatever way possible. Galvin was inspired to assemble and hand out Dignity Bags—sacks filled with toiletries and things such as water, handwarmers, underwear, socks and sunscreen (depending upon the season), that people on the street desperately need. She walks through Philadelphia handing out dignity bags, buying people meals and sometimes even brings a stylist with her and offers haircuts and shaves. What she found is that she was touched by the conversation and stories these people had to express. All the while this was being shared via Instagram, Facebook and other social media outlets. The mission is to give and to share—which brings attention to the issue of homelessness in this country and tells the stories of the people who are experiencing it. In April of this year The Dignity Project became an official 501(c)(3). TDBank recognized the work she’s been doing and as part of the #TDThanksYou campaign, made a significant donation to The Dignity Project for her community efforts. She continues to address homelessness and to acknowledge the people who are down on their luck with a smile, a greeting and a few things in a sack that can make all the difference in the world. Find Galvin on Facebook and Instagram to get personal glimpses of her activities. Rick and Donna Wanless, both retired teachers, are an elderly couple who have lived on their 25-acre farm in British Columbia, Canada, for more than 40 years. Rick, a founder of the Kamloops Mounted Patrol, was out with one of his horses a few years ago when he got knocked over and broke his pelvis. Luckily he was discovered and first responders were able to get him the medical care he needed. He has never forgotten that. 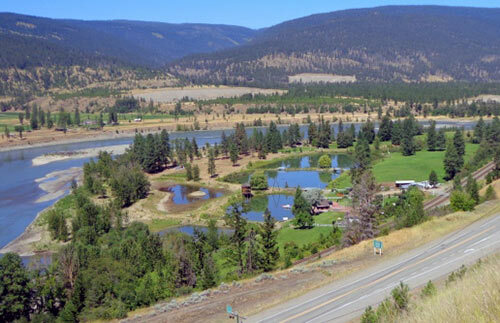 Working in partnership with Honour House, a local facility that provides free housing for out-of-town veterans and first responders who come to the Vancouver area for medical care (along with their families), Honour Ranch will essentially provide everything in a serene locale: housing, treatment programs and recreation. Rick and Donna will continue to live in the main house, but the guest house, stable, clubhouse and river-front gazebo will be shared with the treatment professionals and guests. Plans are in the works to begin building 300-square-foot cottages for guests, already being dubbed Honour Town. “At some point in the future, [the main house] may well become gifted to the first responders and to Honour House but at the present time we’re just sharing what we’ve got with them,” said Wanless. They are also encouraging surrounding communities to help with the vision. One company, Brentwood Enterprises, has already done work fixing the road leading into the property. PTSD is something that can be triggered even years after military deployment or a tragedy occurs. “We’ve heard of military people who are committing suicide and are homeless. That shouldn’t happen in a prosperous society,” said Wanless. They feel honored to be able to help. 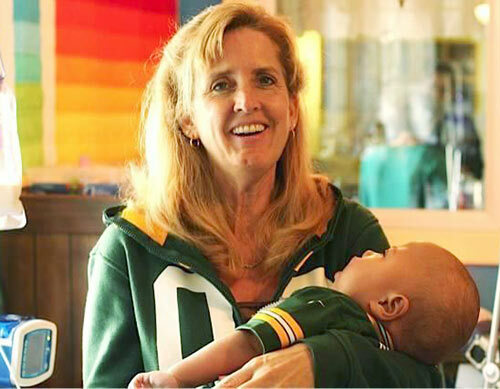 Cori Salchert, a wife and mother of eight biological children, had a career as a perinatal bereavement nurse in Sheboygan, WI. She was drawn to help grieving families who had experienced the loss of a newborn and eventually worked with the Hope After Loss Organization. Some parents are completely overwhelmed with grief when an infant is diagnosed with a tragic or terminal condition, even giving up their parental rights. But around 2011 Salchert was the one with health issues, when she had to battle several autoimmune diseases. After multiple surgeries and complications, she found herself without a job. In August 2012 she experienced a new focus to her life’s work after she received a call asking if she and her family would be willing to take in a 2-week-old infant girl with no name, no family and a tragic prognosis. Salchert and her family agreed. They brought home Emmalynn—who had been born without the right or left hemisphere of her brain—and provided much love and attention to this baby girl for about 50 days. Emmalynn took her last breath snuggled in the comfort of Salchert’s chest, cradled inside a warm robe. In 2014, four-month-old Charlie became part of the family. Charlie has a serious condition that severely limits oxygen reaching the brain, and he is essentially on life support. Most children with this condition rarely reach the age of two. Charlie reached that milestone this year! Many “hospice babies” spend their short lives attached to feeding tubes and are rarely removed from their cribs or held. Salchert and her family have dedicated themselves to care for these infants—as well as other children needing foster care—when they are called upon, so no baby ends up dying alone. His true purpose became evident when he met retired Army Staff Sgt. Travis Mills, one of only five living quadruple amputees. Mills lost all four limbs while serving in Afghanistan, and he happened to be at an event Vobora was attending. Vobora was mesmerized by the mechanics of how Mills was walking and moving, and felt compelled to go and speak to him. “When was the last time you worked out?” Vobora asked. They struck up a conversation, which led to a relationship in the gym. Vobora wanted to push and see how far they could go—to get someone who had been injured to have the mindset that they can be physical again. Thus, Adaptive Training Foundation (ATF) was born. ATF is a non-profit organization whose mission is to train, empower and encourage injured veterans and civilians who are living with spinal cord injuries, the loss of limbs and other degenerative diseases. 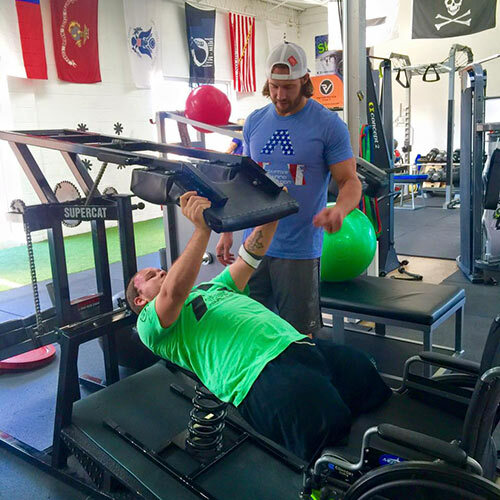 ATF provides free personalized physical training programs that help people realize that their physical status does not define who they are as human beings and as athletes. There is also a sense of community that enables each ATF participant to feel as though they belong…that they aren’t different. Vobora knew there were other people out there like Mills. Plenty. Rehabilitation only gets people so far in the healing process, and Vobora is driven to re-build their bodies and their spirits. Animals in shelters across the world are often overlooked and scared in overcrowded facilities. There is a global movement that is hoping to change that. HeARTs Speak is a collection of creative individuals—photographers, writers, artists—as well as rescue staff, volunteers and animal advocates with a goal to bring attention to these animals and try to find them forever homes. The Perfect Exposure Project: This is a 2-day photography and marketing workshop for humane facilities, teaching staff how to take engaging photos of available animals and how to promote them to the public. Since 2014, more than 200 staff and volunteers have learned these skills, impacting approximately 100,000 animals each year. Images with HeART: Essentially this is a stock photography platform whereby the licenses for the images supports the work of shelter photographers and saving animals. These images are high-res and while galleries include shelter pets, wildlife and landscape photos are also offered. Artists Helping Animals: The foundation project of this organization, it’s comprised of more than 600+ artists, photographers, writers, etc. 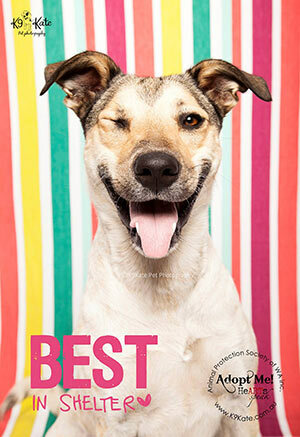 who offer their talents pro bono to animal shelters, rescues and advocacy groups worldwide. The number one goal is to improve the image of animal shelters and animals in need. Chris Bentley and Carlos Miller have been friends since middle school and grew up in the West Palm Beach, FL, area. Both of them ended up in New York City for education and careers, but they also saw firsthand the extent of homelessness and poverty in the Big Apple and how those people were treated. They decided to do something about it. They returned to Florida, conducted a lot of research and in January 2016 were awarded a grant that made it possible for them to launch the mission-based nonprofit Live FRESH (Feeling Revitalized Encourages Sustainable Happiness). 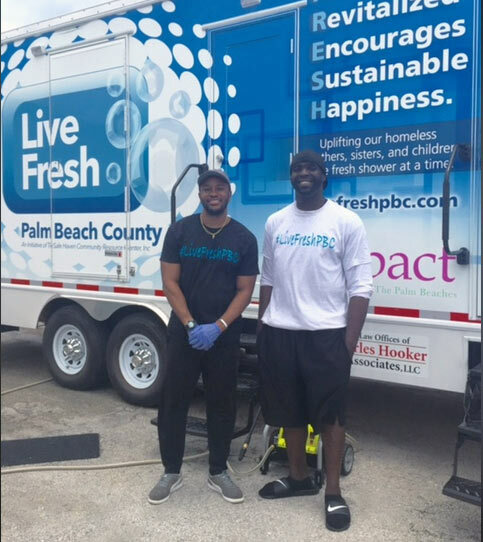 Live Fresh provides showers to hundreds of homeless men, women and children in the Palm Beach area…at no cost to users. They converted a huge tractor trailer (air-conditioned in summer/heated in winter) with six shower stalls and toilet facilities, and provide all the towels, toiletries, and supplies people need to maintain their hygiene, while also helping to rebuild dignity to those who have fallen on hard times. The mobility allows them to travel around the area, often partnering with feeding centers at churches, so folks can get a hot meal along with a shower, shave, some toiletries and often some new, fresh clothing items. According to Live Fresh CEO Chris Bentley, “It’s not expensive [to implement], but the impact you can provide to individuals is priceless.” And people are noticing. The media attention has been beneficial—both locally and nationally—as many organizations have contacted them to see how the concept can be rolled out in other communities. Recently Bentley had an opportunity to meet Richard Campillo, a retired Fortune 100 senior executive who was impressed with the Live Fresh concept and its mission. With Campillo’s help, Live Fresh Inc. has been launched, providing a model for other communities to create their own Live Fresh program. Back on the local front, in July 2016 Live Fresh was able to secure funding for a second mobile shower/hygiene unit to be built and deployed in Florida. Quite an accomplishment during their first year in operation. Wow! Great inspirational stories. I don’t watch much TV because of all the negative media and vulgar shows, so reading this made my heart smile. Thank you Julie for posting about these amazing people and the great things they are doing.